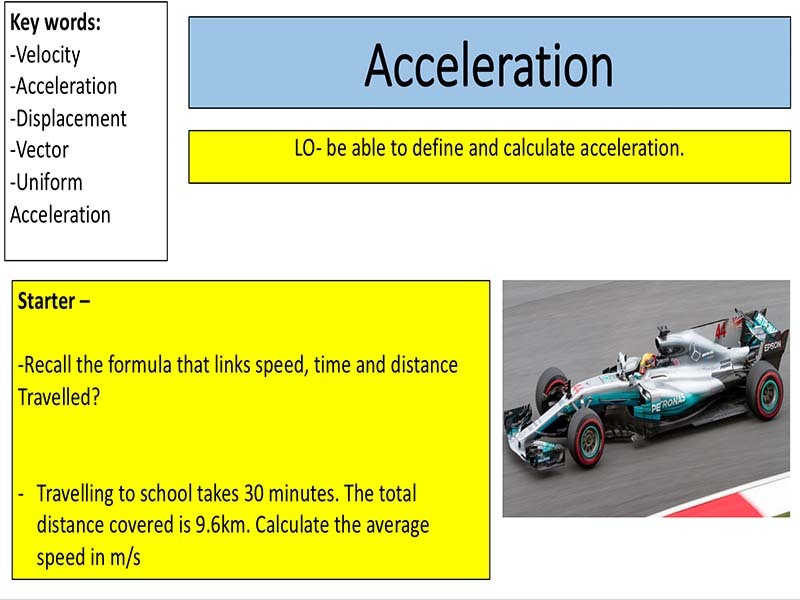 Check out my other resources at: www.mrscience.co.uk Designed for the new specification AQA GCSE( covers spec point 4.2.2.1) course but can be modified for other exam boards. 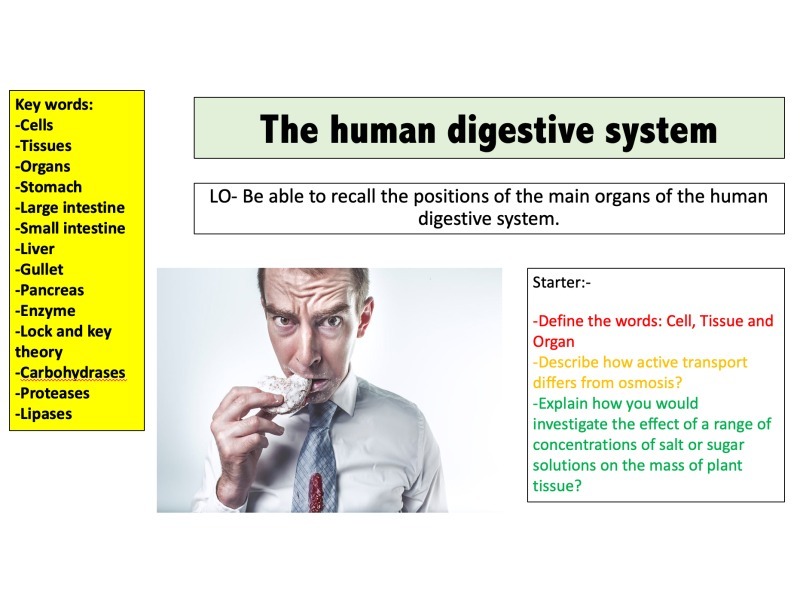 11 slides covering : Identify the organs of the digestive system. Describe the functions of the organs of the digestive system. 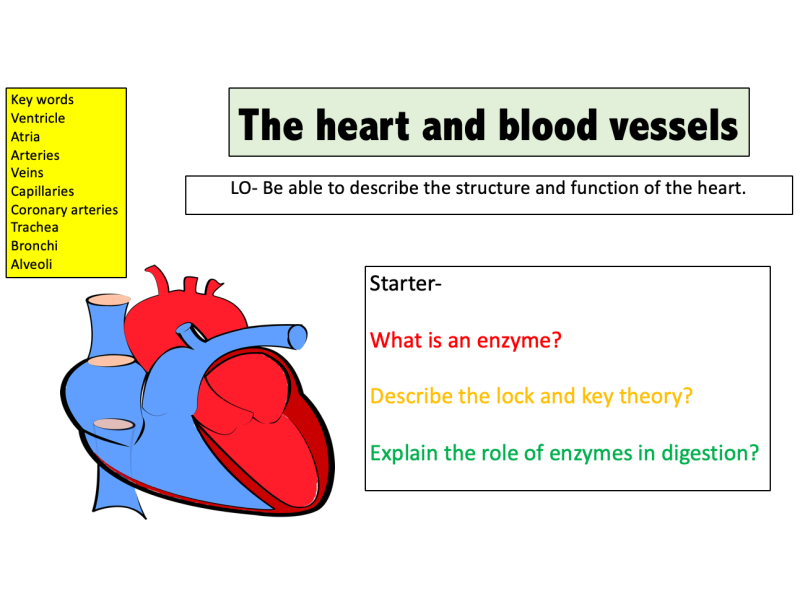 Explain the role of enzymes in digestion. Includes worksheet. 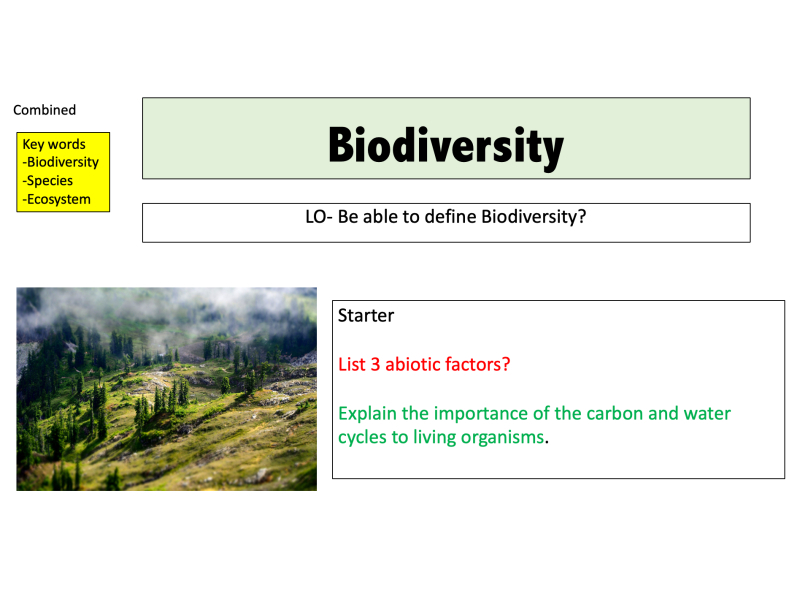 Designed to use as a revision tool to help students summarise content from Organisation. Alternatively can be given as a homework task. Resource contains 3 revision mats. 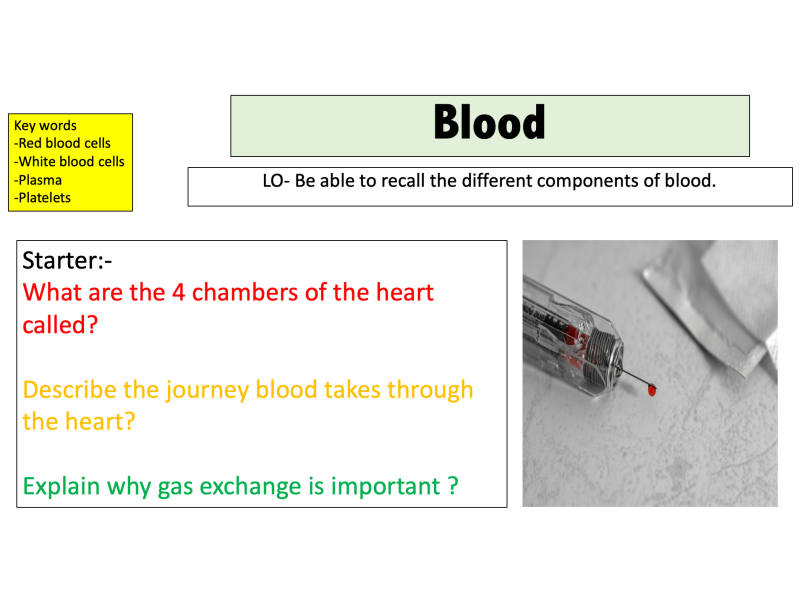 Designed to use as a revision tool to help students summarise content from Infection and response. Alternatively can be given as a homework task. Resource contains 3 revision mats. 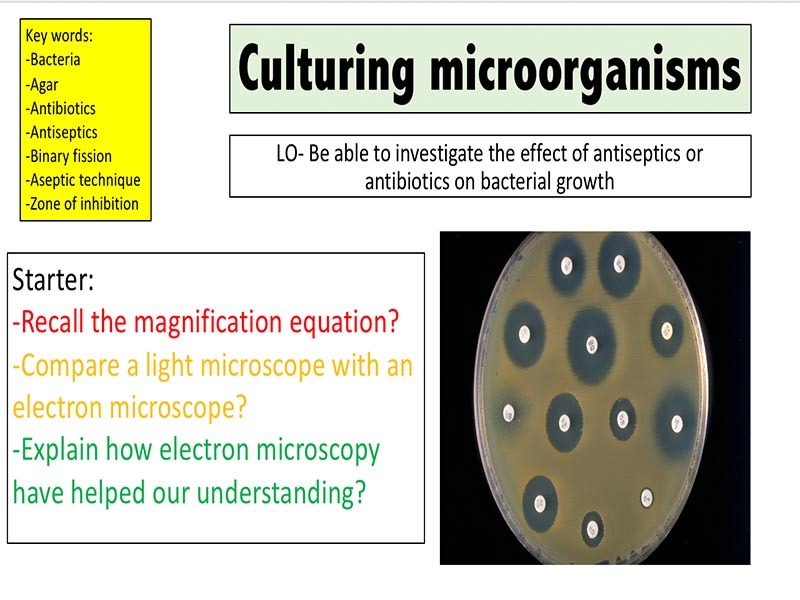 Check out my other resources at: www.mrscience.co.uk Designed for the new specification AQA GCSE( covers spec point 4.1.1) course but can be modified for other exam boards. 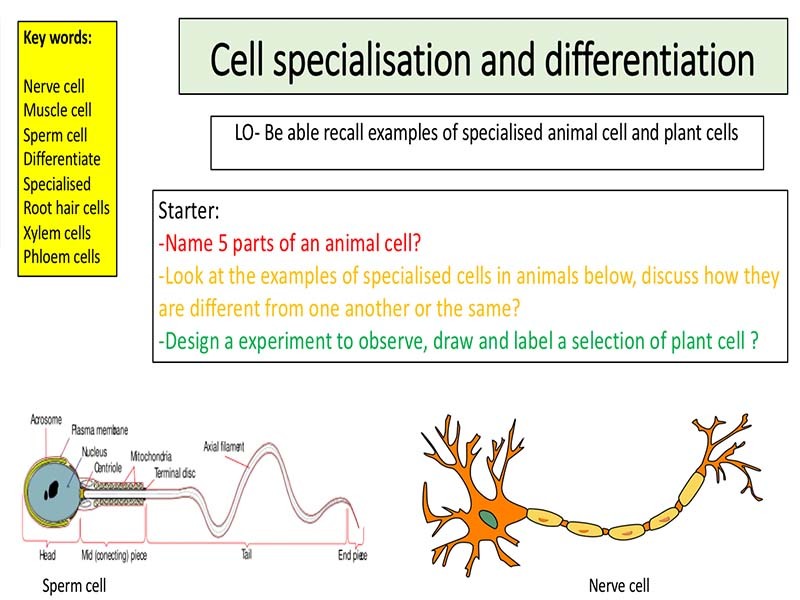 22 slides covering Cell specialisation and differentiation: -Be able to link structure to function of different animal cell and plant cells. -Explain how cells become specialised through differentiation. 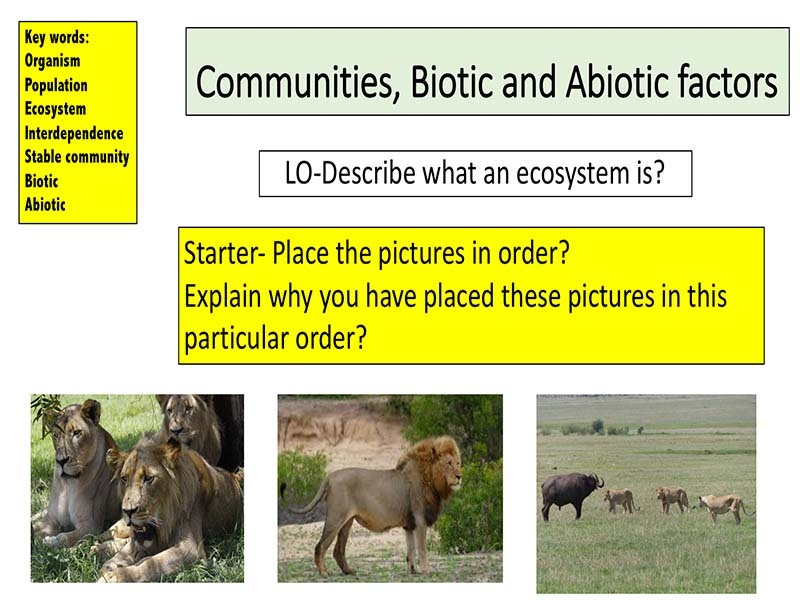 -Explain the differences between plant and animal cells in terms of their abilities to differentiate. 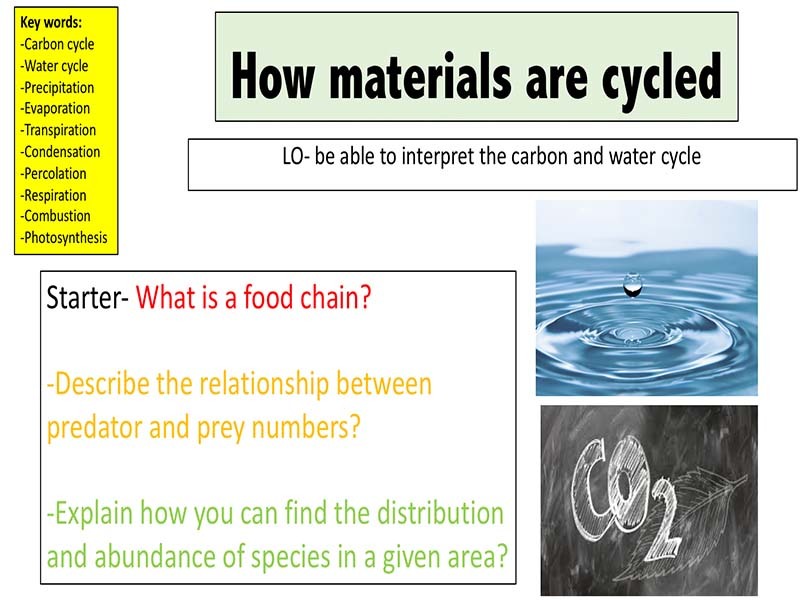 Check out my other resources at: www.tes.com/teaching-resources/shop/mr_science Designed for the new specification AQA GCSE( covers spec point 4.7.2 ) course but can be modified for other exam boards. 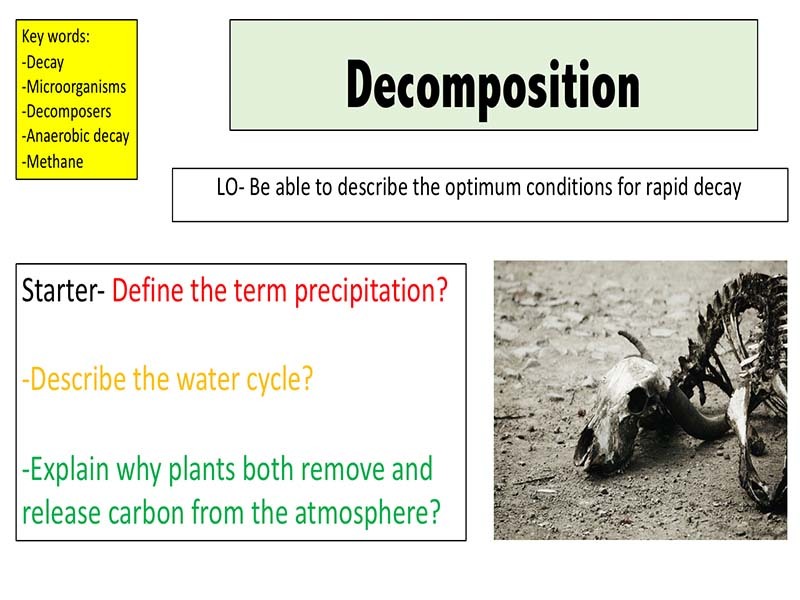 8 slides covering Decomposition: -Describe how methane gas can be produced from decaying materials for use as a fuel. -Explain how temperature, water and availability of oxygen affect the rate of decay of biological material. -Explain how the conditions for decay are optimised by farmers and gardeners, and the reasons for this. 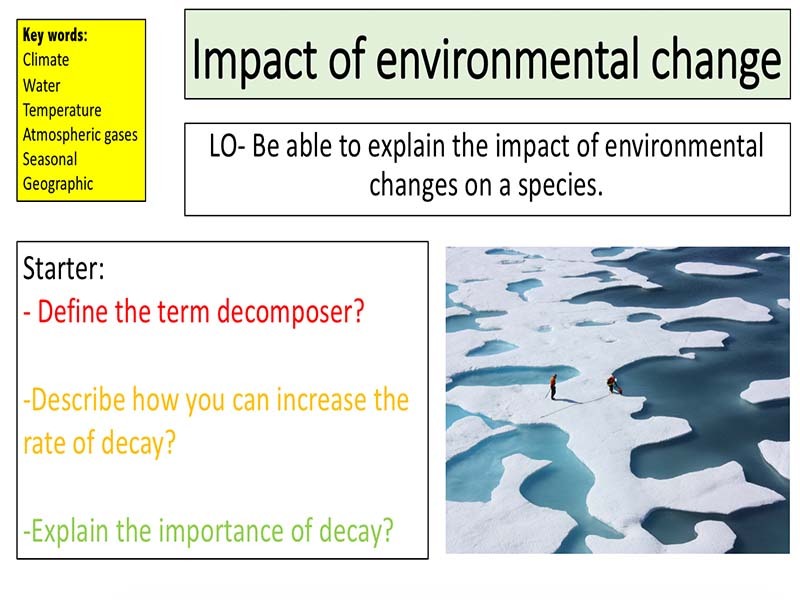 -Explain how environmental changes can affect the distribution of species in an ecosystem (temperature, water and atmospheric gases). -Required practical 10: investigate the effect of temperature on the rate of decay of fresh milk by measuring pH change. 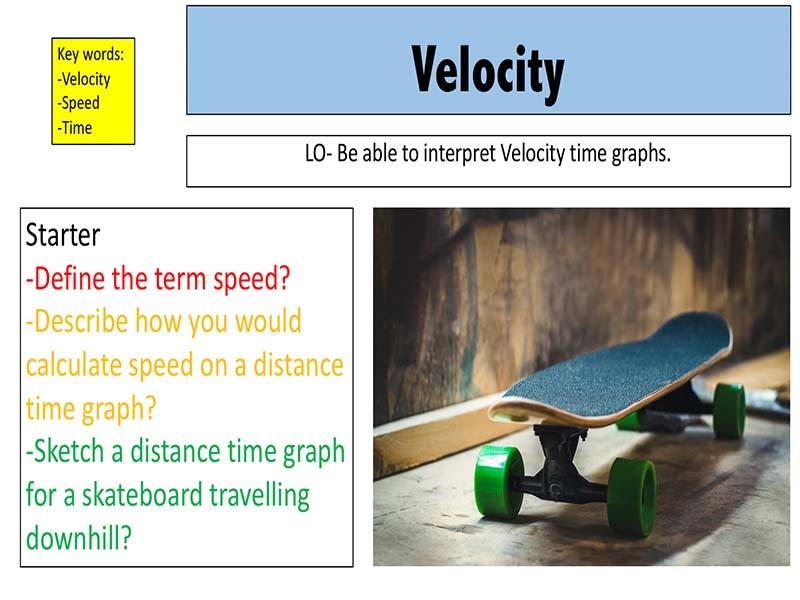 Check out my other resources at: www.tes.com/teaching-resources/shop/mr_science Designed for the new specification AQA GCSE( covers spec point 4.7.1 ) course but can be modified for other exam boards. 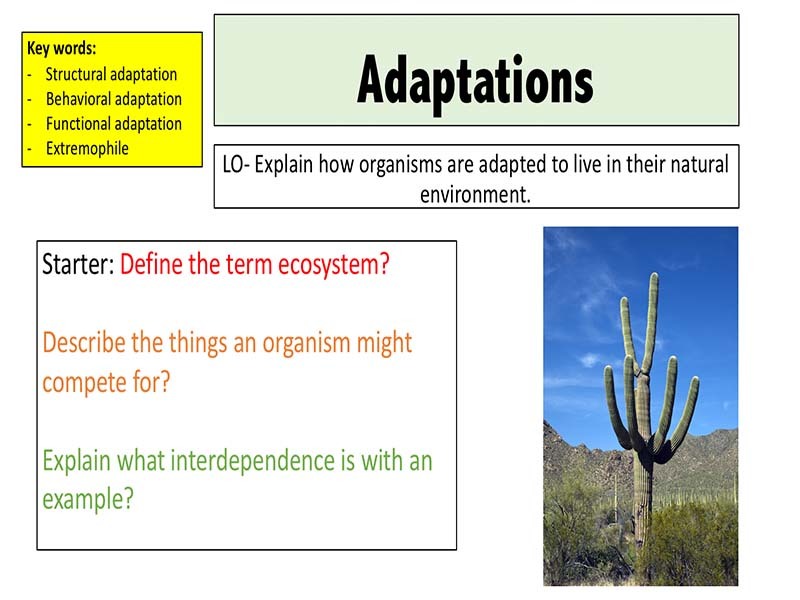 9 slides covering adaptations : Explain how organisms are adapted to live in their natural environment. 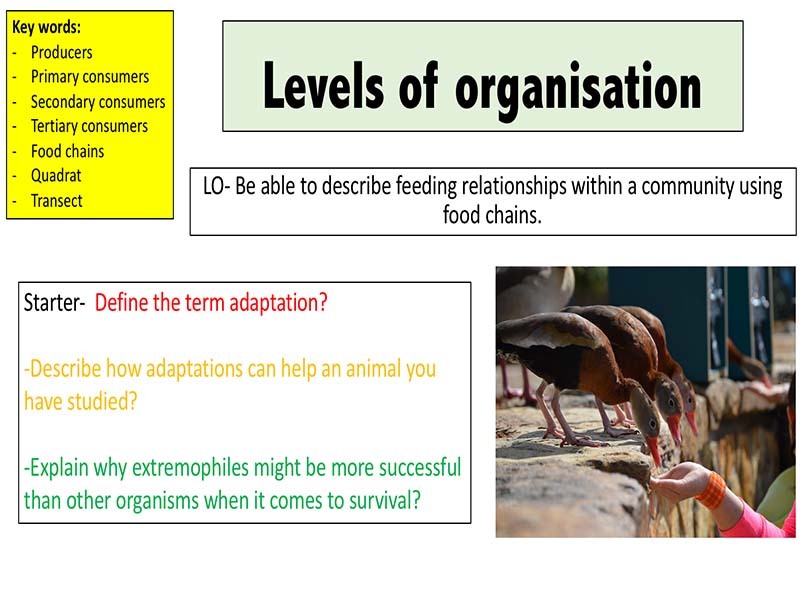 Describe structural, behavioural and functional adaptations of organism. Describe what an extremophile is.